MultiBrief: Advertising and the city: Are billboards a threat to public space? Places like Times Square in New York and the Shibuya in Tokyo are home to some of the most iconic scenes of urban space on the planet. We cannot imagine them without their iconic billboards and digital displays, which have become part of their visual identity. But the spilling out of corporate advertising into increasing areas of our public space is being resisted. Advertisers argue that billboards can bring a number of benefits to a city. They can be used to cover up parts of the city that are less easy on the eye… they can be funny, entertaining perhaps. But some activists and reformers are pushing their local governments to make their neighborhoods ad-free. Known in the industry as "out of home advertising" (or OOH), these adverts are a part of our visual life that we take for granted. We have become so immune to their presence that they are accepted simply as the "way things are." The urban wallpaper of our daily life. When new adverts creep into our peripheral vision, we barely bat an eyelid — or an "eyeball," as ad execs so charmingly refer to them. But these adverts accompany a specific way of managing our cities. They are a spatial motif of the capitalist economy. In German film "Goodbye Lenin," the glimpse of billboards out of the window of her flat is the first thing that tips off one of the characters to the reality that she has woken up in capitalist Berlin. Local governments can and do set certain ground rules that "contain" and control public advertising within certain zones or keep them to certain sizes. Usually the criteria for granting permission rely on the impact on "visual amenity," and as such there are far greater restrictions in conservation areas or areas of natural beauty. But the regulators tend not to engage in the deeper issues this type of advertising raises — the question of exposing members of the public, in particular children, to corporate advertising they never asked to see. Removing billboards would, admittedly, do little to influence the daily bombardment of our senses that has come with the era of the smartphone. But with other mediums (such as TV, radio or advertising on social networks) we at least in theory have the option of switching off. That is not how things work with public space — particularly if in using the subway, we are striking a bargain where we implicitly agree to be the subject of corporate messaging in return for the use of public infrastructure. As the advertising industry has become more sophisticated, the line between marketing and urban planning has begun to blur. Often local governments are in a tricky position, even if they want to reduce the impact of advertising in the local area. In times of restricted public spending, revenue from advertisers can prop up local government coffers. Beyond the revenues themselves, many advertisers are under contract to maintain street furniture where their adverts are shown. Some cities have gone further and are making a Faustian pact with corporations to brand their cities. Under these arrangements, the city receives funding for public amenities and infrastructure in exchange for brand visibility — examples include the Southwest Airlines initiative to help redesign urban space in the cities they fly to, or the branding of Dubai subways stations. There have historically been plenty of campaigns by graffiti artists and others against the advertising of certain products — alcohol, cigarettes, fast food, or sexist imagery have been common targets. 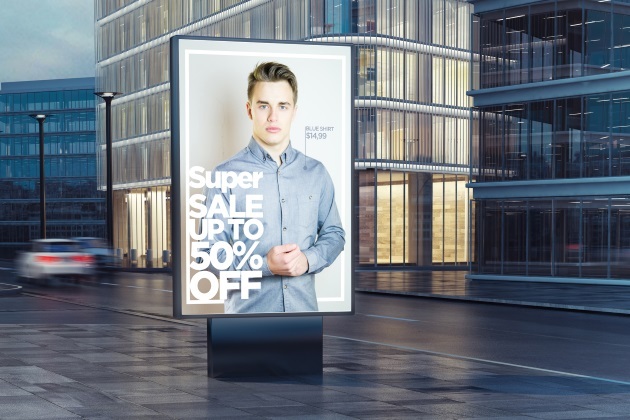 The advent of digital billboards has opened the playing field up to hackers who can display their own counter-messages on screens they manage to take over. But what the campaigners for full-scale advertising bans are claiming is something quite different — that the interweaving of our daily lives with the products of commercial advertising is a problem in itself, regardless of what is being advertised. They have had some success. In Sao Paolo, the Clean City Law took down 15,000 billboards in one swoop in 2007 (they are now being reintroduced, but in a much more controlled fashion). In 2014, the French city of Grenoble became the first in Europe to ban street advertising, replacing them with trees and community noticeboards. But the pushback can be fierce. One advertising company even sued the Sao Paolo government when the ban was introduced. What should go in their place? So, if we throw all of the billboards on the bonfire in a great "billboard liberation," what should go in their place? Grenoble went for trees, but there have been other suggestions. Most playfully, an activist organization in London crowdfunded the financing to replace adverts in their local subway station with pictures of cats. Another suggestion has been public interest adverts, that help to raise awareness of things like road accidents, whale poaching or cancer. This approach received a boost from the popularity of recent Oscar-winning film "Three Billboards Outside Ebbing, Missouri," which sparked a craze of using billboards to display messages of social justice. Or why not replace the ads with art? Cities are full of artists looking to make their mark. They can create images that ask questions or entertain, rather than addressing us as consumers alone. The Iranian capital of Tehran replaced all of its billboards with artworks by Rembrandt and Rothko for 10 days. Advertisements in public space are ultimately part of "the commons." They are not just visual pollution — their implications go much deeper. Current regulations seem to take account only of "visual amenity." But as marketing is making claims to being a "form of urbanism," we need to pay attention to the cultural and societal implications of what we allow on our public streets. Where billboard bans have been imposed, one of the ensuing problems was that the adverts had masked urban problems and residents were now left with poorly maintained facades to contemplate. But perhaps this is the real opportunity lies, providing a push to find a longer-term solution for our ailing public spaces, rather than selling them off?